Back in September we saw an undisguised prototype of the V60 Cross Country testing in Spain and Volvo has now made the news official by revealing the high-riding version of its V60 wagon which comes with the same variety of rugged styling as seen on the smaller V40 CC. It features a 65mm increased ground clearance compared to the regular version and has gained front & rear skid plates, fender extenders and side scuff plates while at the back there are integrated dual exhaust pipes. It can be had with either 18- or 19-inch alloy wheels wrapped around in high-profile tires while inside it gets black leather sport seats with brown stitching along with the possibility of opting for various types of two-tone upholsteries. 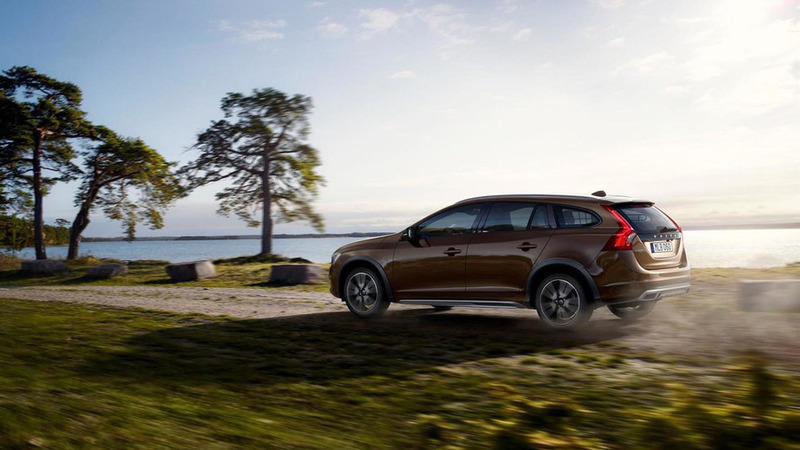 The 2015 Volvo V60 Cross Country will be available at first in United States and Canada early next year exclusively with the traditional five-cylinder 250 bhp (186 kW) gasoline engine working with an automatic transmission to send the power to an AWD setup which will allow the model to return 23 mpg US. The international version will shortly follow with the new range of Drive-E four-cylinder gasoline and diesel engines teamed up with a FWD layout whereas the five-cylinder D4 will be paired with an all-wheel drive arrangement.